I want to buy your product (S_F_Real_Y9). Quantity: 7000m2 Can you reply for me as soon as possible. Thank you! Hi, We would like to buy Polished Black Pebble (11 tons) , pls offer FOB price. We need it urgent, so pls feedback ASAP. Call me if you need more information. Thank you! I'm interested in Made-in-China HS-450-2 Automatic Bridge Saw Machine Please send me the more detail and price. Thanks you! I look forward to your reply. 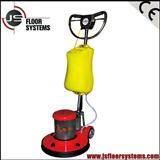 I'm interested in JS-175C Multifunctional floor buffer, grinding, polishing,cleaning Please send me the more detail and price. Thanks you! I look forward to your reply.